The internet is a powerful resource when it comes to looking for a new dentist. If you’ve moved recently or are just looking to change things up, you might be stumped on where to look for a new dentist. Most dentists have an online presence including a website, reviews and listings on online directories. These tools are just the starting point for your new dentist search. Here are some of the best online search tools for finding a new dentist and what to consider before you start your dentist search. Is the dentist accepting new patients? Be sure to call the dentist or visit their website first to see if they’re taking new patients. Does the dentist offer deals for new patients? If dentists are accepting new patients, some offer deals such as free teeth whitening when you schedule a new patient appointment or a $0 co-pay on your first visit. Do you need any specialty services? This can include root canal procedures, teeth whitening or treatment for gum disease. Not every dentist specializes in every dental service, so it’s important to search for dentists that specialize in what you need. Are there specific times you can visit the dentist? Dentist offices aren’t typically 9-5. They have unique hours, such as opening early for patients before they need to head to work, or closing early on Fridays. Be sure to look at their hours to see if it fits your schedule. If you have dental insurance, it’s important that your dentist is in your network. This will keep you from paying costly medical bills that are already covered by your insurance. Most insurance programs have online tools to check which dentists are in the network. Delta Dental’s online search tool is a great example of this. This insurance provider allows you to enter your location, your insurance network, and the name of the dentist or a specialty dental service you’re looking for. A Google search of dentists in your area is one of the best resources for finding a great dentist. If you simply search “Dentists in insert your city” on Google, you’ll get thousands of results. You can narrow down your search by clicking over to the maps tab and checking out the dentists that are closest to your home, school, or work. When you click on the dentist you’re interested in on maps, it will take you to the dentist’s Google My Business listing. This will show you their phone number, a description of the services they offer, their website and opening hours so you can decide if the dentist will work for you. Another helpful way to narrow down your dentist search is to look at their Google reviews. This will help you get a sense of patient satisfaction. If the dentist responds back to reviews, it shows that they care about what their patients have to say. If there seems to be a trend of negative reviews that all explain similar problems with the dentist, you may want to go with a different dentist. The ADA’s Find-a-Dentist tool is one of the most comprehensive online dentist search tools. This tool also only looks for dentists who are members of the ADA. This means that the dentist is making your health a priority by agreeing to follow the ADA Principles of Ethics and Code of Professional Conduct. You can search for dentists by geographic location and specialty. When you click on a dentist’s profile, you’ll be able to see where they went to school, contact information and a description of their practice. If you don’t have insurance or have recently fell on hard times, there are also several resources to find free and low-cost dental clinics. 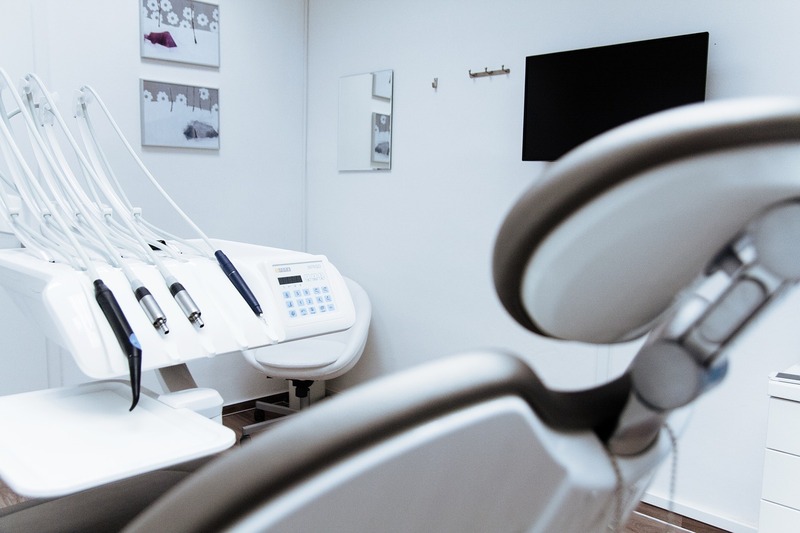 These dental clinics are often through community health centers, free dental programs run by a city or free clinics run by volunteers that are focused on providing healthcare for those who don’t have insurance. Each state government website should have all the information you need to find low cost dental programs near you. There is also a website called freedentalcare.us that compiles all the free and low-cost dental programs in each state and the services they offer. All these online tools can help significantly with your new dentist search. Be sure to spend some time researching online before you decide on the right dentist for you. This is a guest post by Daniel J. Derksen, DDS, PLLC, a general dentist in Lansing, Michigan that also specializes in cosmetic and restorative dental services.